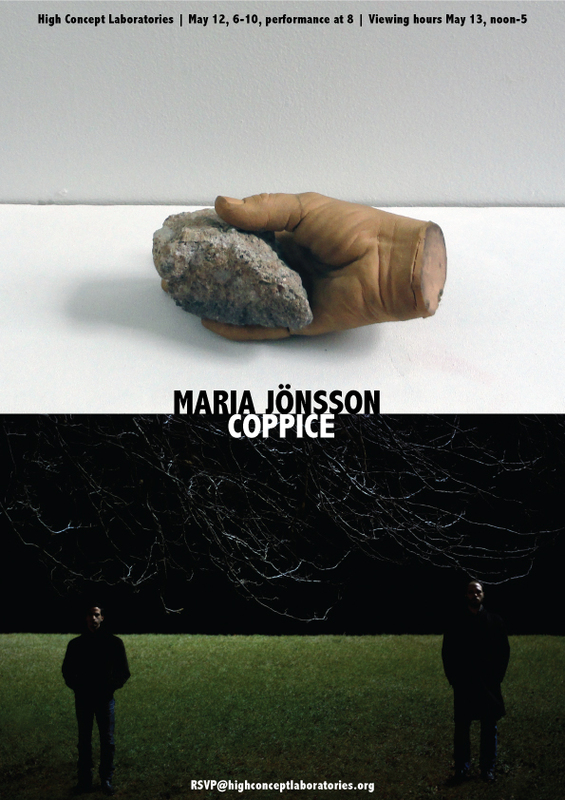 Coppice is sharing an evening with artist Maria Jönsson on Saturday, May 12th. We each have a special evening planned with Maria showing new work on the first floor, and Coppice hosting a listening party and concert on the second floor. This will be an excellent opportunity to hearThe Pleasance and The Purchase played in its entirety while enjoying complimentary gin. Also, Coppice will premiere a new collaborative performance with Holly Murkerson followed by our new repertoire for prepared organ and electronics. This is the end-of-residency presentation for Coppice and Maria as sponsored artists at High Concept Laboratories in Chicago for the Spring 2012 season.